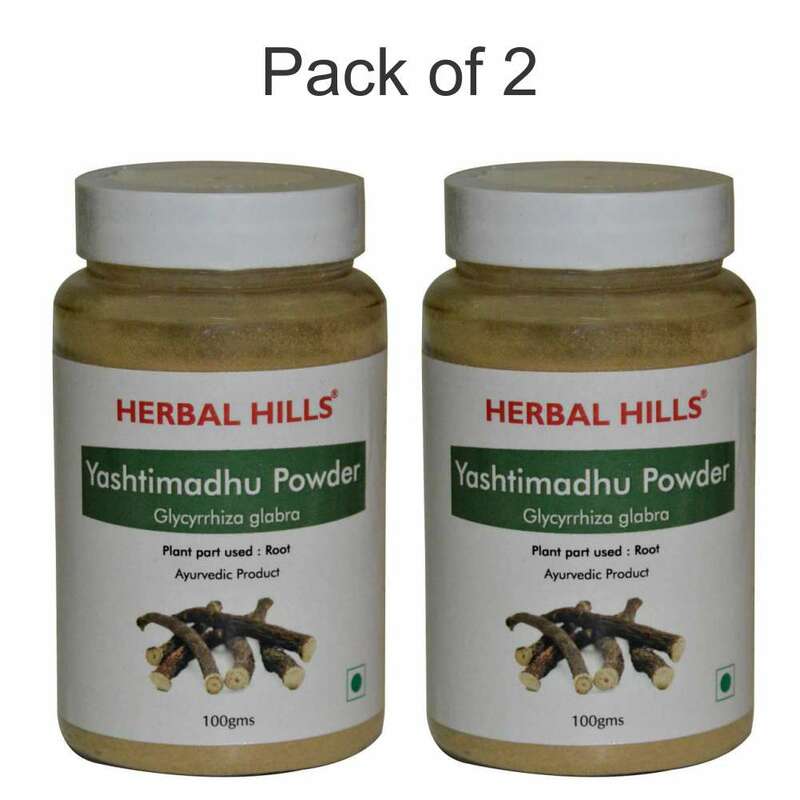 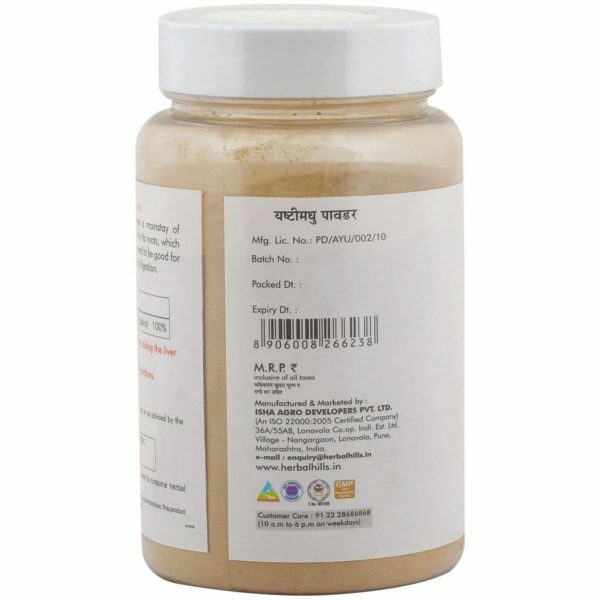 Buy Online HerbalHills Yashtimadhu Powder is also known as Mulethi / Licorice/ Glycyrrhizza glabra which is synergistically processed with highly advanced technology. 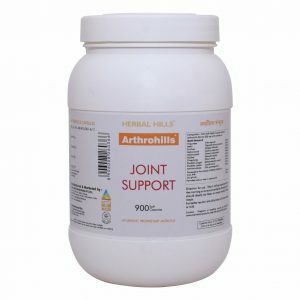 Herbalhills products are made out of best quality and authentic Ayurvedic herbs, available in India. 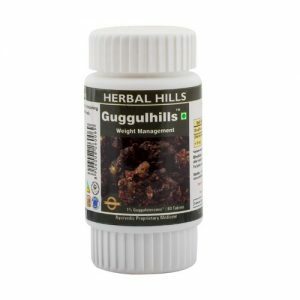 These herbs are specially selected and manually graded to give best products. The quality and efficacy is 100% guaranteed. Herbalhills Licorice powder can be used for Ayurvedic purpose. Herbalhills Yashtimadhu / Mulethi may benefit in digestion, Immunity and Respiration. 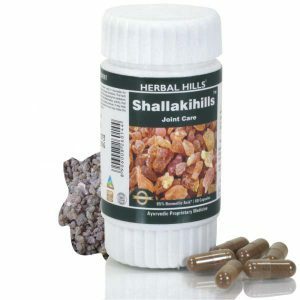 The quality and efficacy is 100% guaranteed. 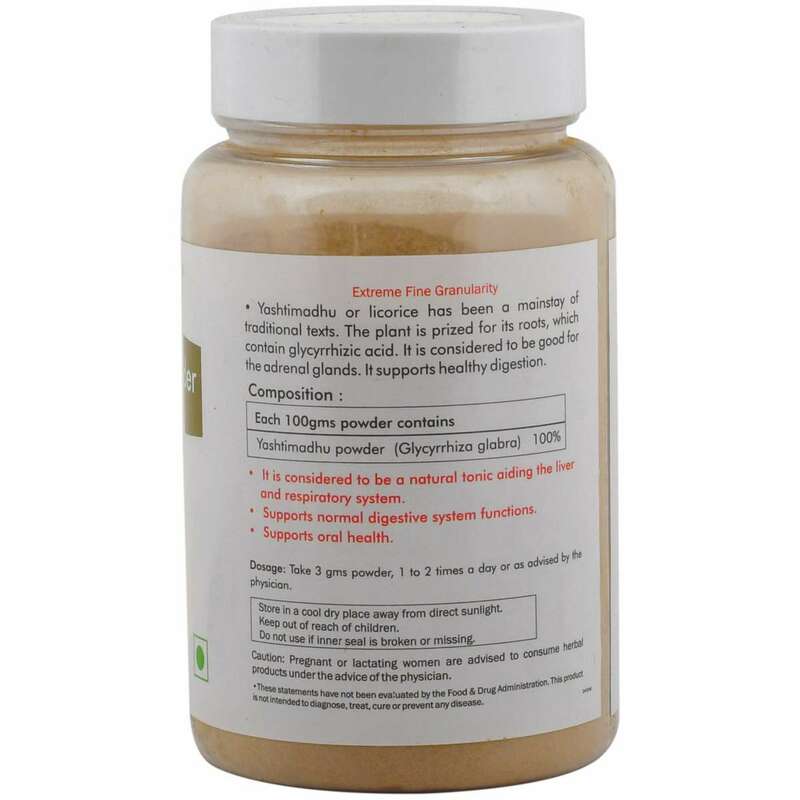 Please look out for our wide range of other pure herb powders.